A number of factors determine the success of a company’s online presence through their website. The most basic factor in web development is your website’s design. The website design is responsible for either making or breaking your online identity. Your online image is very important, as what your target audience views, determines whether they turn into customers or not. 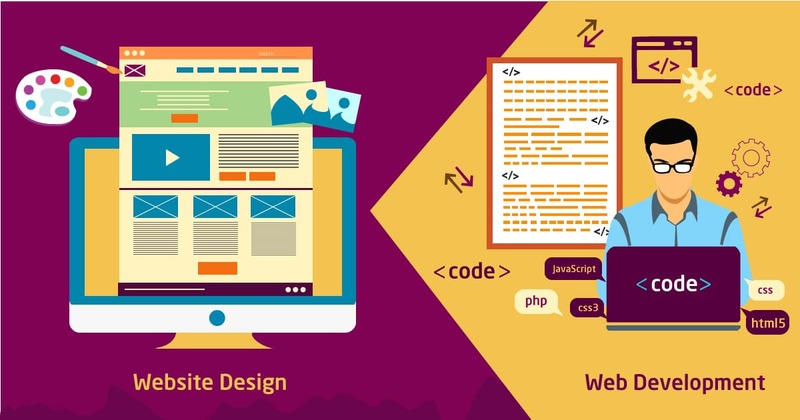 Therefore, creating a website design which has a striking user interface will ensure you a conversion rate, leading to higher revenue and business growth. Web Designing is considered as the most important factor in web development. While one may consider the aesthetics of a website like colours, images and fonts as vital, it is equally important consider the wider picture of web design and its other elements. The success of a website is determined by the user experience it offers. A web design which provides a positive user experience will keep the visitors engaged, prompting them to get in touch with you, converting your visitors into customers. Your brand is represented by your company’s logo. It is a very important part of the website and it should be featured prominently on the home page and other landing pages. Generally the logo is displayed on the top-left or top-center of the page to make it noticeable to viewers when they visit the website. It should be the first thing a viewer must notice when the website first loads on their screen. The home page should have a title on the top of the page. Ideally it should be in line with your logo. Either next to it or below it. The title should represent the values and ethics of your brand and business, followed by two to three sentences describing the business and products. The title should clearly mention about the kind of business and what they offer. The description sentences give more information on the title and try including the benefits of the products and services offered. The purpose of a website is to convert visitors to final customers. Once they have visited the website and viewed the title and description, next they would want to order the product or get in touch with you for the sale. The website should provide a way to the visitor to avail the benefits being offered. This path is called a call-to-action. For example, if you want the viewers to contact you for further information, your call to action link can read: Click here to know more. If you want the visitors to subscribe to your newsletter, your call to action link can read: Yes, Subscribe me to your newsletter. A call to action is a quick way to let your potential customers get in touch with you or a hassle free method for visitors to reach important information pages. Images expressing the emotional effect of your product or service on the users. For e.g. happy people, excited children etc. No matter which images you plan to use on the website, ensure that the images are of high-quality and high-resolution. The most simple and easy way to ensure that your visitors can explore your website easily is by placing a navigation menu. The navigation menu will have links to all the pages and important sections of the website. It is generally placed at the top of the page, to make it easily visible. TO ensure that the viewer knows that the links are clickable, it is advisable to use text different from the test used on the rest of the website. In the true sense, a good web design is what is beneficial to the visitor. Good web design means offering the customers with enjoyable online user experiences and offering them products and services which are valuable to them. The more user friendly and enjoyable you make the browsing experience, the more motivated they will be to remain loyal to your company. Velocity Consultancy is a professional Web Designing and Development Company providing comprehensive and cost effective web solutions for a wide range of website design & development services. We are dedicated in assisting small to medium sized businesses establish an online presence. We help our clients in harnessing the wide reach of the Internet by designing and developing web solutions which will help them in marketing their products to a larger audience.